FLC Records is back on the scene with massive LP Project. “Money” (FLC005) is produced by Mr. 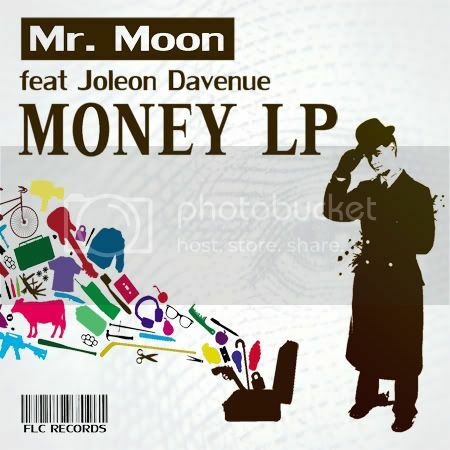 Moon featuring vocals Jo'leon Davenue & Bobo and remixed by well known artists like Funky Love Crew, Chemars, Jangatha, Mel Rosario, Will Jax and Target Audio a.k.a Arturo Gomez. This nice package of proper House Music is 100% dance floor winner! FLC Records is very proud and happy to welcome all artists involved in the release which is No. 5 of a funky deep and jazzy House catalogue! FLC005 is available on all major download portals including Stompy, Traxsource, Junodownload, DJDownload, Trackitdown.